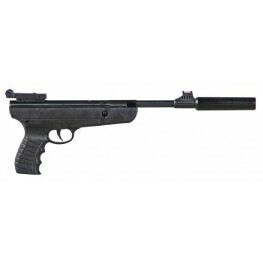 This single shot air pistol is a break barrel type which fires at around 300 ft per second. Plastic Grip, Solid metal construction. 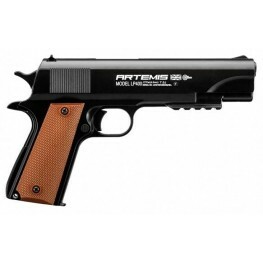 A great pellet pistol at a great price.This Item cannot be posted ou.. 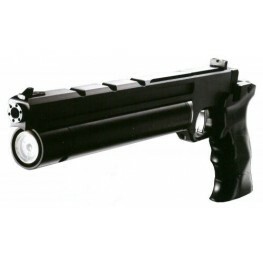 These 12g co2 powered air pistols have an excellent trigger. The gun features an adjustable back sight, smooth bolt action and anatomical beech stock. These guns have to be handled to appreciate the s.. 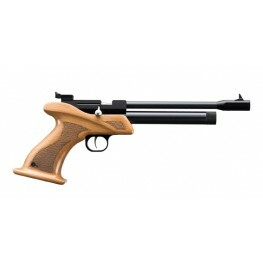 Gun TypeAir PistolGun MakeSMKOrientationAmbidextrous StockCalibre.177MechanismPneumaticBarrel LengthStandard BarrelGun StyleAir RifleGun ConditionNewThis Item cannot be posted out and will have to be ..
SMK Artemis PP700SA - .177Fantastic Pre Charged Target Pistol, Fully adjustable open sights a fully shrouded barrel with long dovetails so you can fit your scope or red dot The pistol comes ..